Um, nope. Still haven’t written this yet. 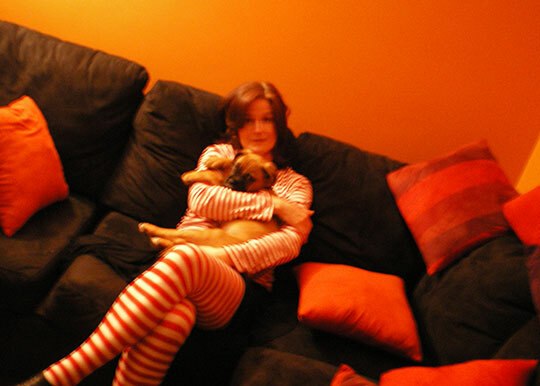 But here’s an old late night party photo when I was wearing elf ears and my dog was a wee puppy. 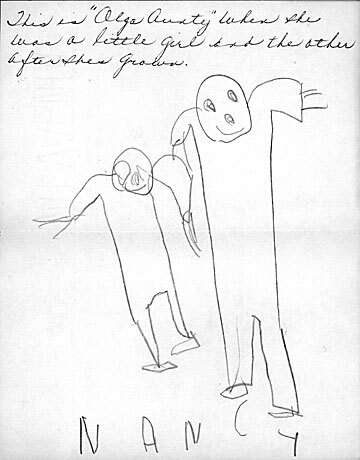 And here’s a picture I drew for my dear great-aunt Olga, a very long time ago, annotated by my mother.